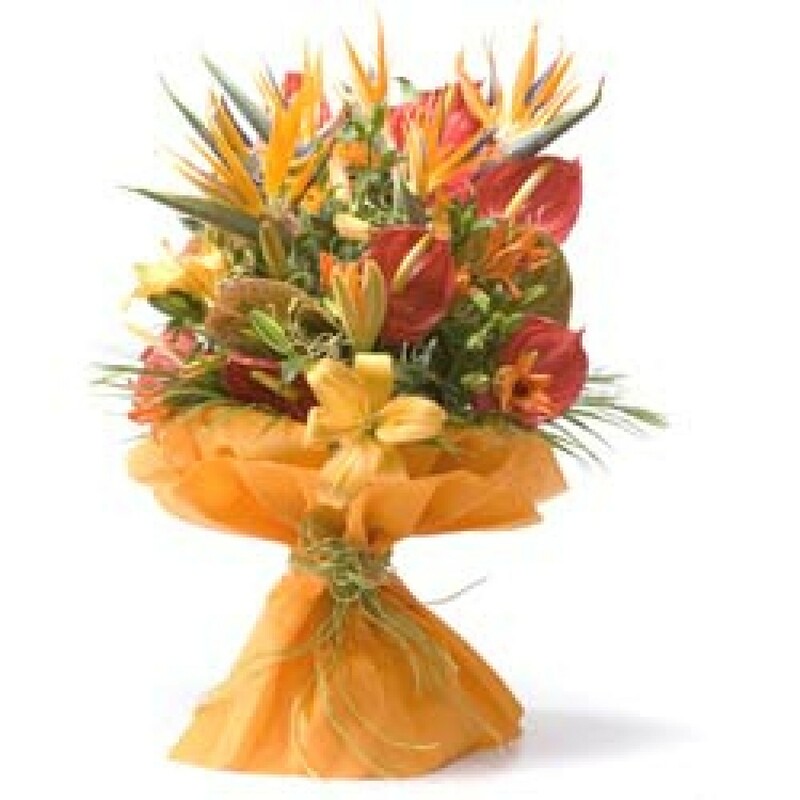 Show her hospitality & anticipation & beauty through these naturally exotic flowers arranged in a gorgeous bunch. You can find in it 5 stems of red anthuriums , 5 peach/orange lilies & 5 Birds of Paradise aesthetically hand-arranged with lots of green fillers in a non woven matching frill orange paper wrapping and a contrast raffia knot. 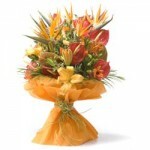 Order this warm flower bunch to express your gratitude to someone who has made a difference in your life!